FREE Chili's Dessert or Appetizer! 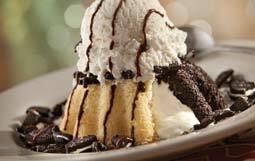 Chili's is offering a coupon for a FREE Appetizer of Dessert! To get the coupon Like Chili's on Facebook, fill out the short form, click go to app...that's it! note: Purchase of at least on adult entree is required. Not valid with other coupons and discounts.